Sweatshirts are a great hoodie alternative to kit out your team. 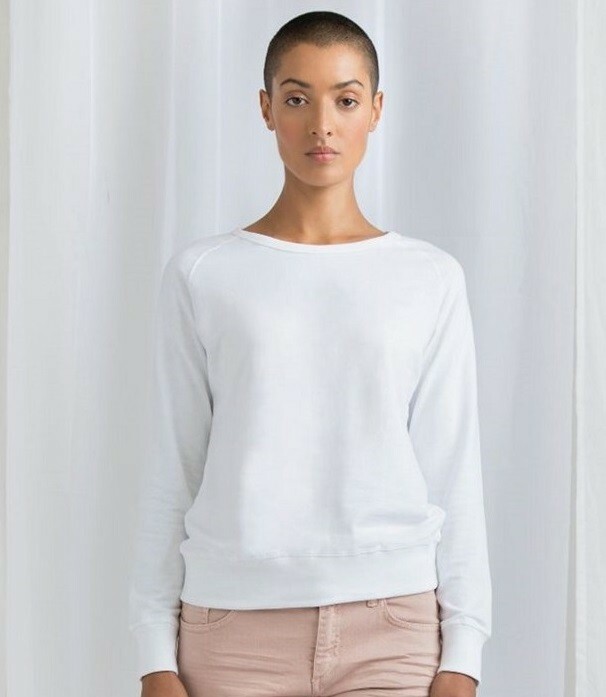 This is the women’s version of ‘The Sweatshirt’ (M194) so it has all the great benefits but in a more fitted style. It’s still a contemporary boxy finish but pinches in at the waste for a more flattering look. 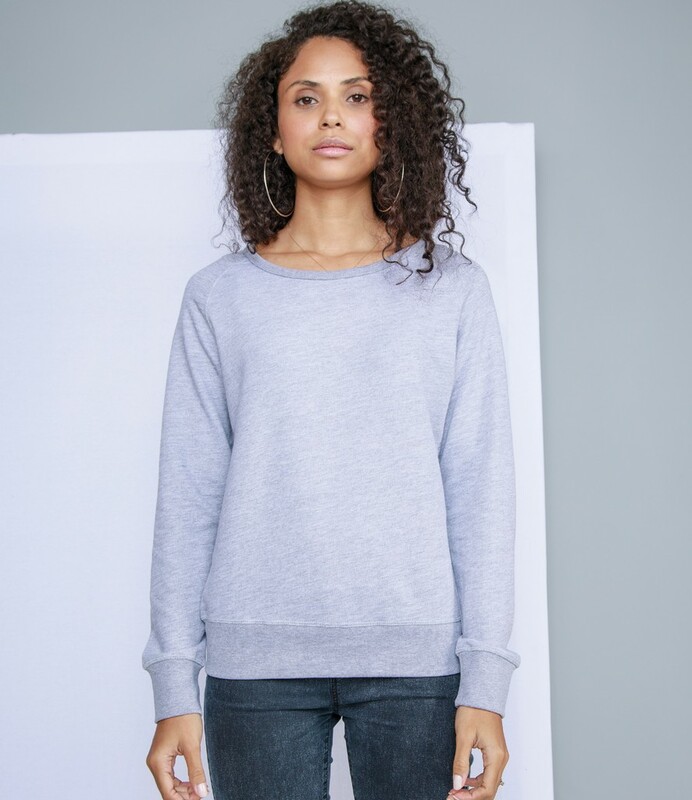 The Raglan sleeves and ribbed cuffs/hem create a simple, retail finish. The fabric is smooth on the outside, ideal for personalisation, but loop back on the inside for extra insulation. The black, navy, white and heather marl are classic options, perfect as a blank canvas. But why not opt for the soft olive and soft pink. Not only are these unique and contemporary colours, but they are eco-friendly too. These two options are made from organic cotton and recycled polyester. So you can look great whilst helping the planet! All colours even have a tear out label so you can remove any previous branding.